The North Iowa Area Community College (NIACC) John Pappajohn Entrepreneurial Center and the North Iowa Area Small Business Development Center (SBDC) are proud to announce Scott and Susan Moorman of Moorman Clothiers as the Entrepreneurs of the Month for November 2018. For 25 years, Moorman Clothiers has been North Iowa’s premier full service clothing store, offering made to measure suits and sports coats, casual sportswear from the world’s finest designers, special occasion wear including tuxedos, and a full array of women’s apparel and accessories. Scott first contacted the North Iowa Area SBDC in 1992, looking for business startup advice with an eye toward achieving his dream of opening a clothing store. In order to save up a down payment for the business, Scott sold shirts and ties out of his car while also working full-time. In 1993, Scott and Susan Moorman purchased Quinn’s Clothing, located in downtown Mason City in a historic building that had been a clothing store since 1926, and opened Moorman Clothiers. In 1997, Susan Moorman added a women’s line to the store. One of Susan’s main roles throughout the years has been the interior displays and window design. In 2005, Scott and Susan opened their location in downtown Ames, Iowa, and added The Cyclone Room where Iowa State fans can find the answer to all of their apparel needs. In 2009, the Mason City store moved to its current location in order to make way for the renovation and reopening of Frank Lloyd Wright’s Historic Park Inn. Moorman Clothiers not only provides clothing to its devoted clientele, it also provides a sartorial education from how to wear a suit to how best to tie a tie. 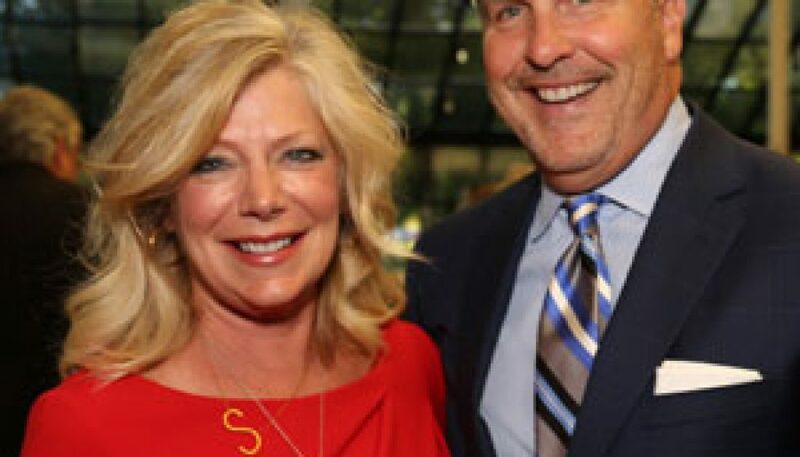 Scott and Susan Moorman are passionate about their business and their community. Scott says that one of the keys to success is “being involved in the community – you have to do that to drive a business.” One of the ways he stays involved is by mentoring fellow business owners, providing insights into growing a successful business in North Iowa. Scott also served on the first Main Street Mason City board and remains an active supporter of the program. “Main Street Mason City is great for all of Mason City,” he says. “The program is a huge benefit for rural communities.” Susan is the Vice President of Sculptures on Parade, non-profit group with a vision to bring a significant display of public art to Mason City. Community engagement is a company-wide value at Moorman Clothiers. Employees are actively involved in supporting and promoting downtown Mason City’s revitalization; employees currently serve on the Main Street Mason City board and are involved in lighting downtown Mason City. Scott and Susan Moorman have built an enduring business in Mason City with a wide-ranging customer base that brings shoppers and dollars into the downtown district. 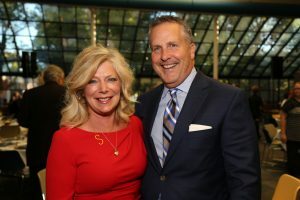 They have provided leadership in making downtown Mason City a destination location, creating a wide-ranging impact on North Iowa’s entrepreneurial ecosystem.